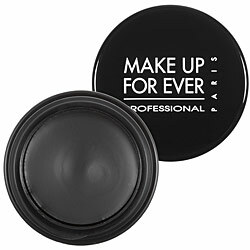 I’ve divulged my passion for the perfect lined eye (how to create cat eyes refresher here) in the past, now let me introduce you to my latest obsession: Make Up For Ever’s Aqua Black Waterproof Cream Eye Shadow. 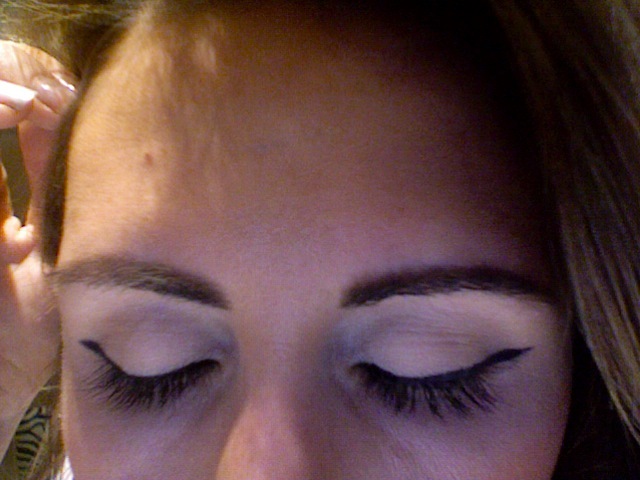 Yes, it’s a cream shadow but used with a thin bristled brush it’s the greatest liner out there. Long lasting, creamy, rich in pigment, can use wet for more precision or dry for a bit of smudge and it’s waterproof so once you apply it doesn’t move… all night long. I apply with a slanted brush – my fave is still Smashbox’s #21 that has the faintest curve at the top so that the bristles hit the eyelid at an angle. I start at the inner corner and apply lightly, getting thicker as the line veers further out. How do you draw your lines? Leave a comment below and let us know!!! Sarah's EXCLUSIVE Senna Fall Makeover!